LEXINGTON, KY (Nov. 21, 2016) – Andre Pater’s Red Arrow, 2016, sold for $276,000, including buyer premium, following a spirited bidding duel be the highest-priced work at the fourth annual Sporting Art Auction, held Monday at Keeneland. Pater was on hand to watch the competition for his Red Arrow, 2016, a 36” x 24” pastel signed by the artist. 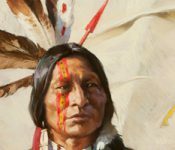 The painting depicts a Lakota warrior, approximately 1870, wearing a buckskin war-shirt decorated in locks of horsehair and scalps along his arm, and draped in a buffalo robe. 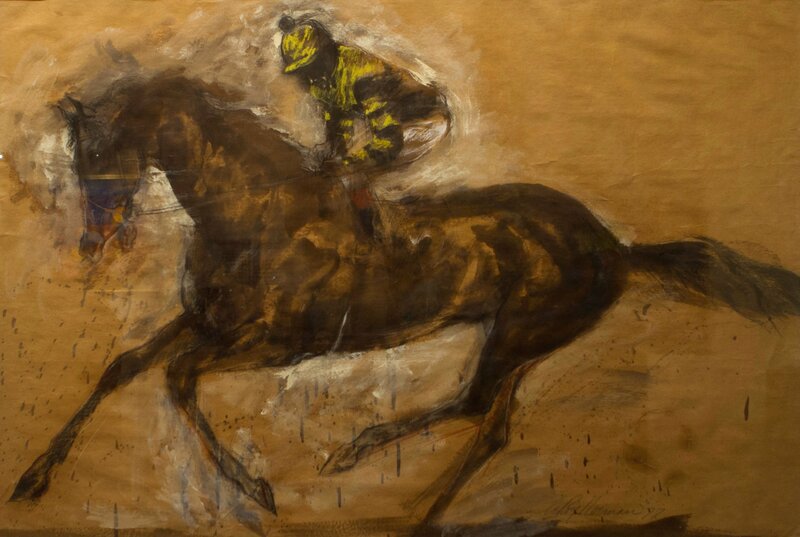 Gross sales for the Sporting Art Auction, a collaboration between Keeneland, the world’s premier Thoroughbred auction house, and Cross Gate Gallery of Lexington, the country’s foremost gallery of fine sporting art, totaled $2,478,710. The 2016 collection featured 175 high-quality lots representing fine sporting art, American paintings, and sculpture by world-renowned artists. Seventy-five percent, or 131 pieces offered in the auction, were sold. Paintings by LeRoy Neiman brought the evening’s second-highest prices, with his works Seattle Slew and Epsom selling for $115,000 each, including buyer premium.